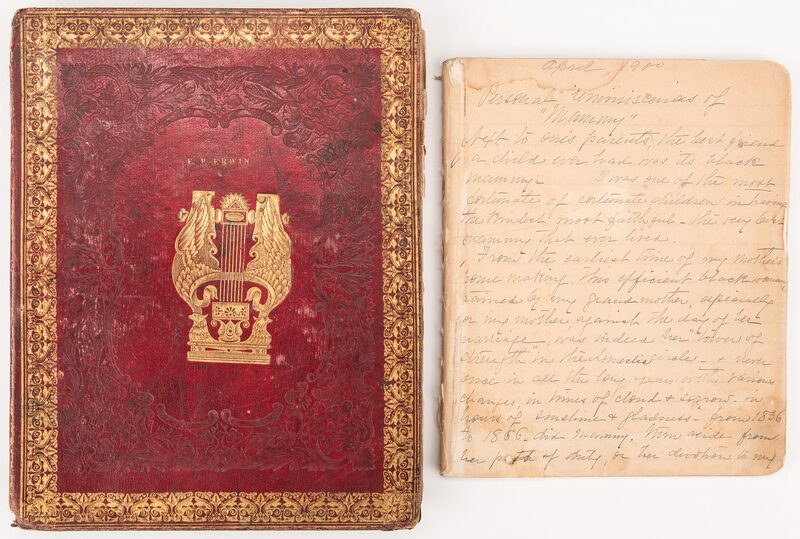 Craige family, North Carolina, related leatherbound album and notebook, 2 items total (note: see related lot, #508). 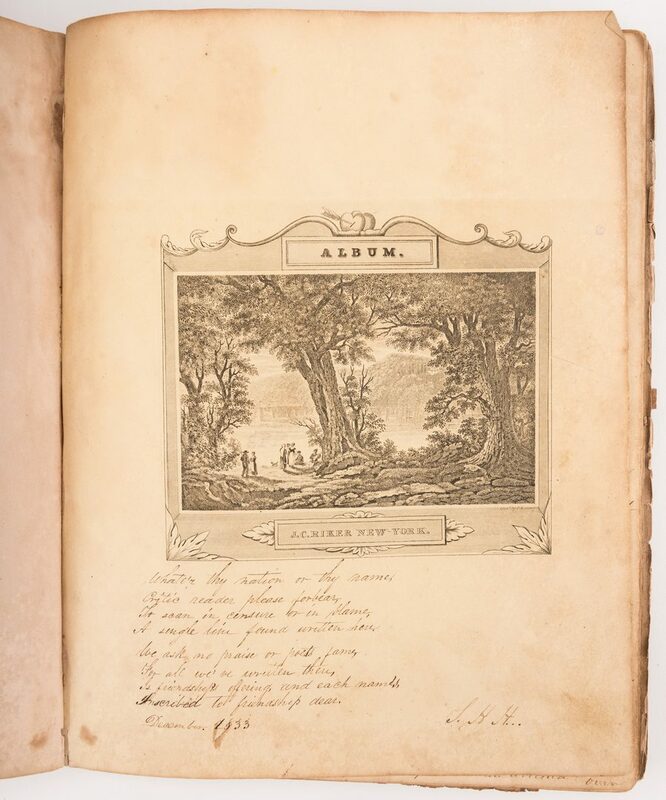 1st item: Album, approx. 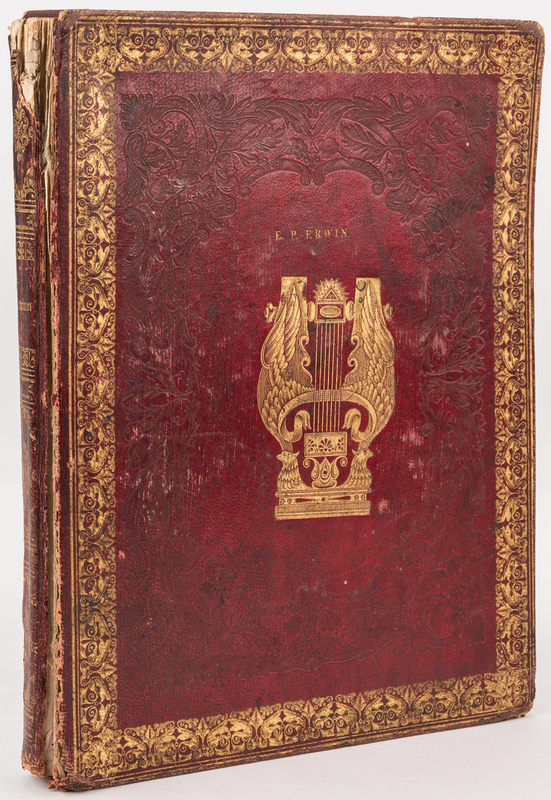 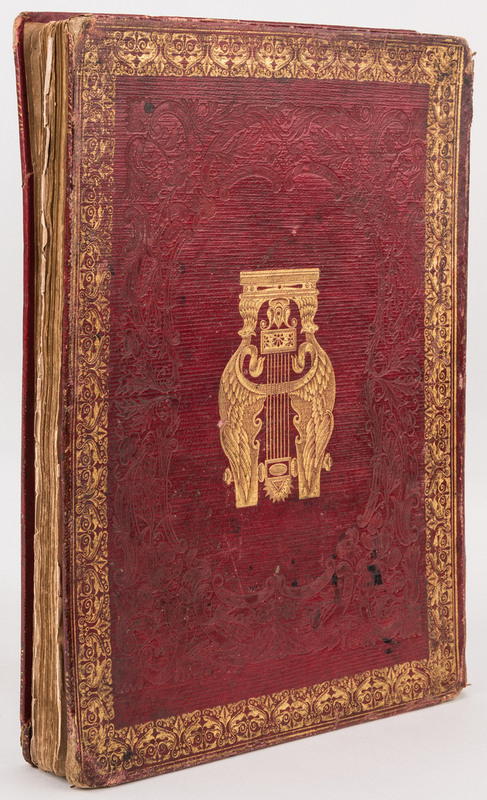 100 pages, with gilt tooled decoration and name E.P. 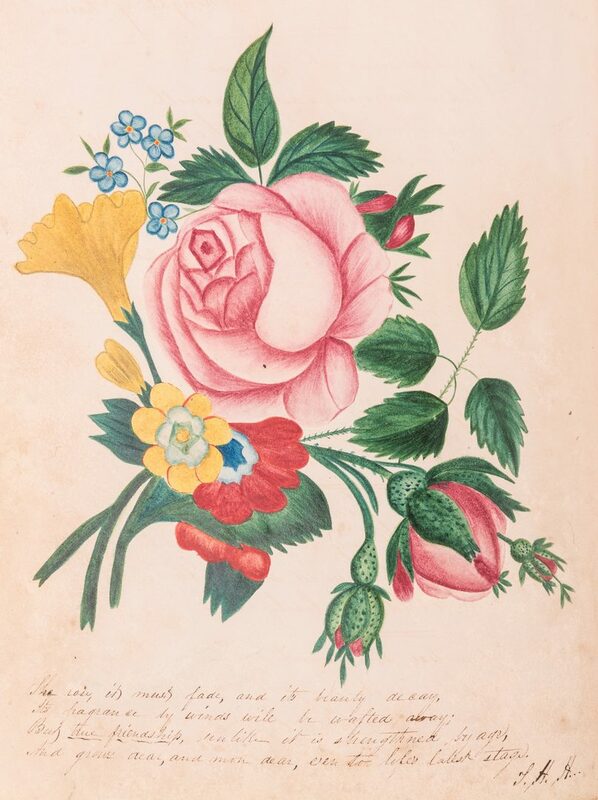 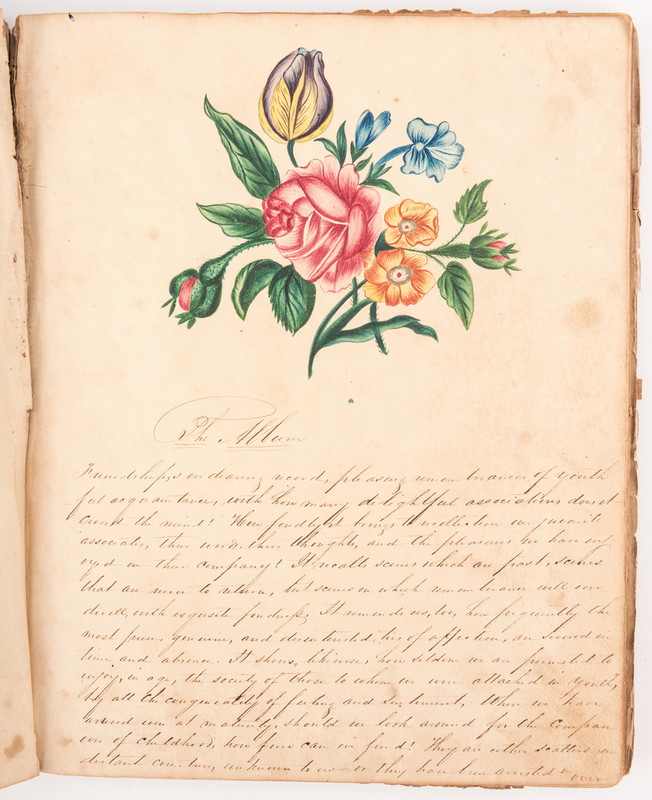 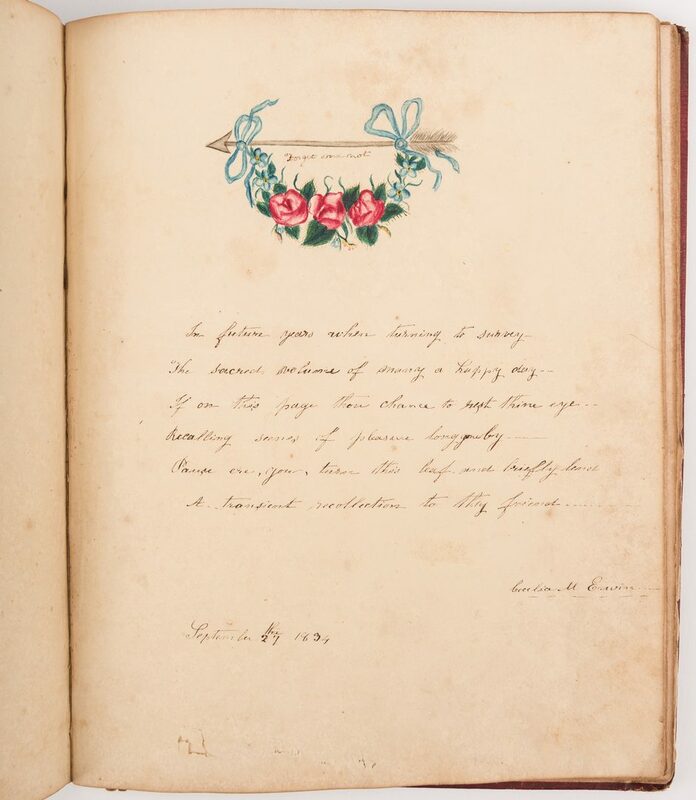 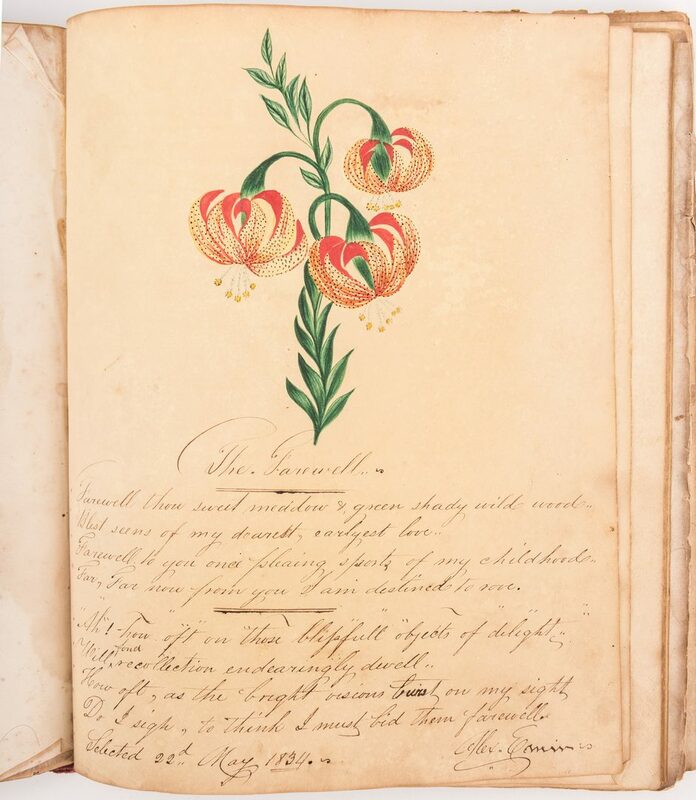 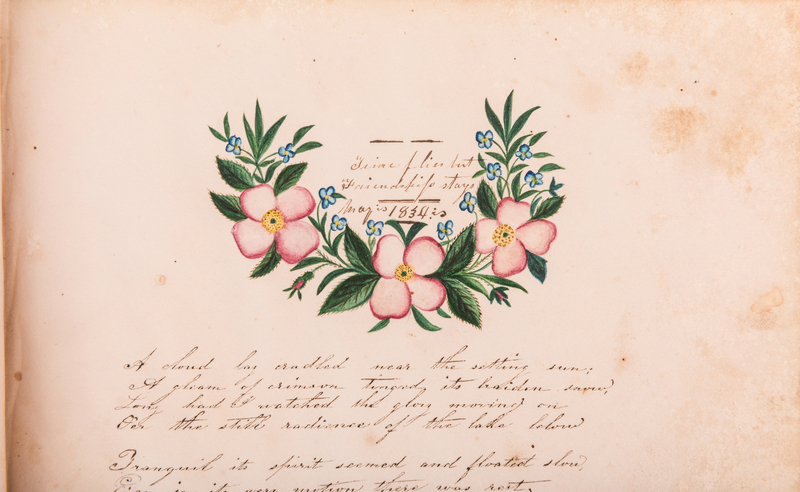 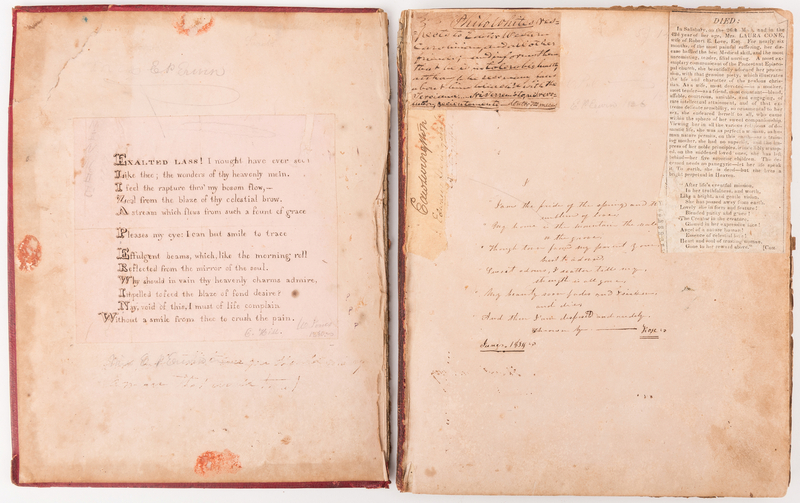 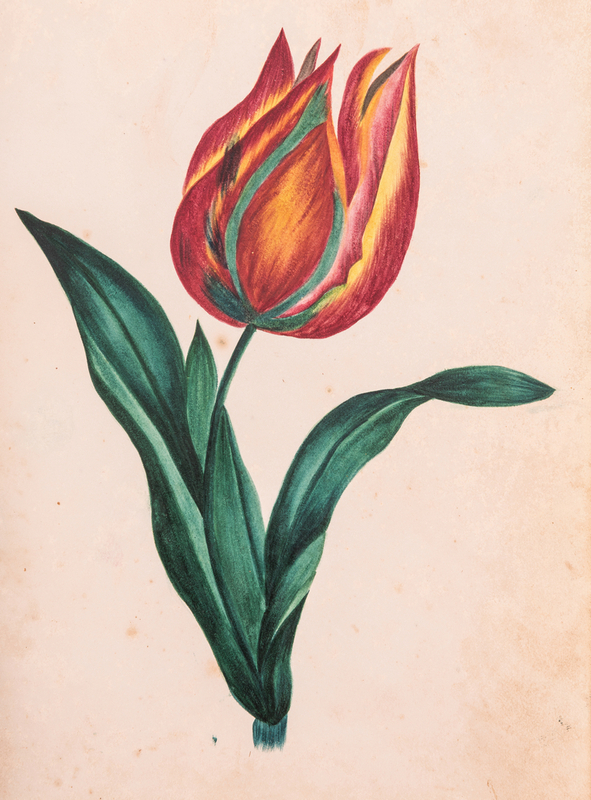 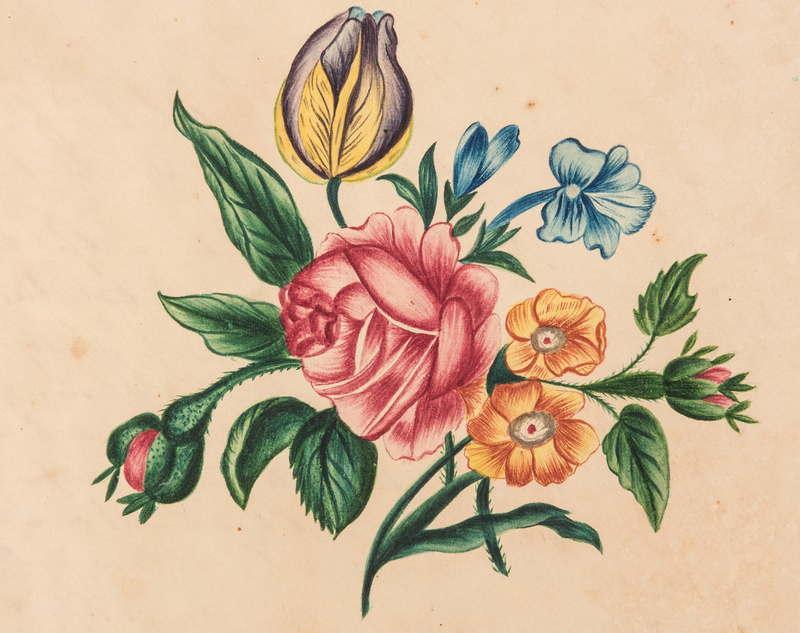 Erwin to cover (Elizabeth Pfifer Erwin of Burke County, NC, married Francis Burton Craige, Dec. 23, 1836), contains watercolor theorem style flower illustrations, pasted newspaper clippings, numerous hand written poems and inscriptions (many to Elizabeth from various friends). 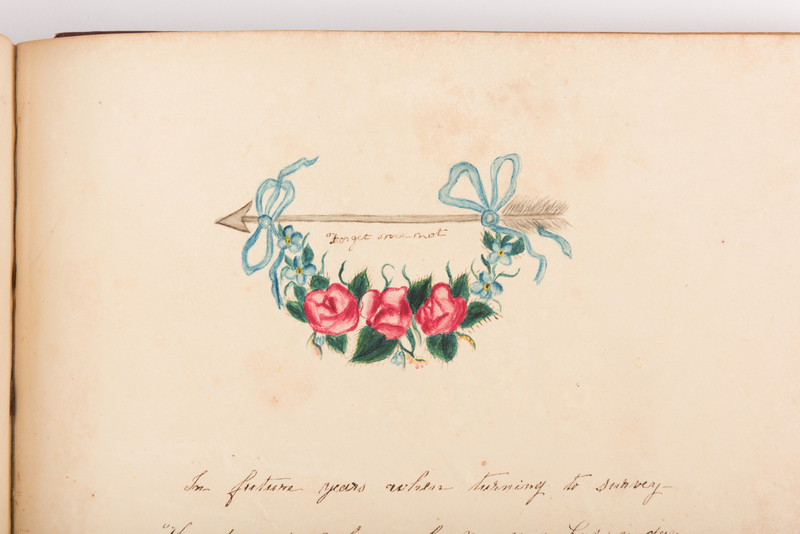 There is also a lock of hair with note that it is from "little Mary Dale Craig, Williamsport TN". 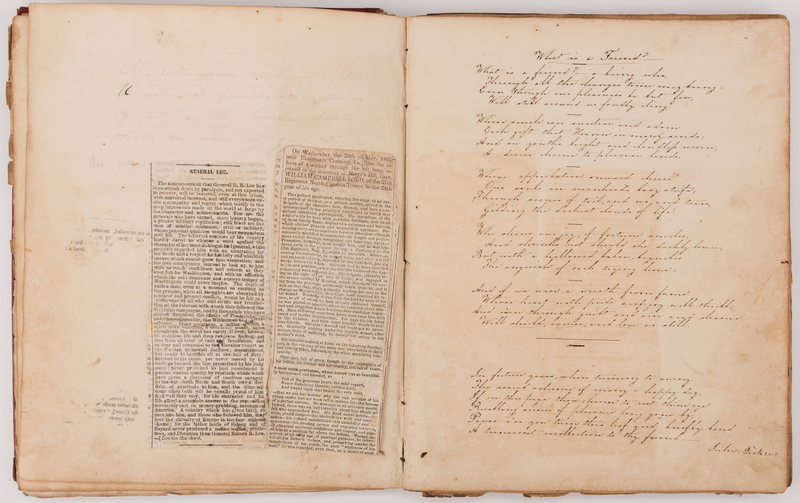 Dates of inscriptions range from 1833 to 1836, the year of Elizabeth Erwin's marriage, suggesting it may have been a school friendship album, however, there are pasted in clippings from later dates, including one regarding a stroke suffered by General Robert E. Lee and the 1863 death of Captain William Campbell Lord of the N.C. 57th infantry as a result of wounds suffered in the 1863 storming of Marye's Hill. 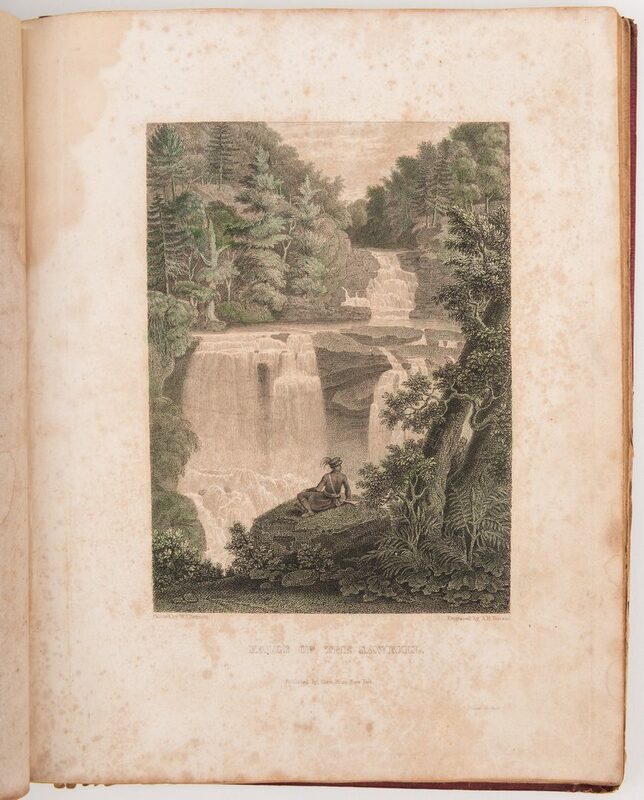 The album itself was published by J.C. Riker New York and contains several engraved illustrations of the Hudson River – Upstate New York area by A.H. Durand after artists such as Thomas Cole . 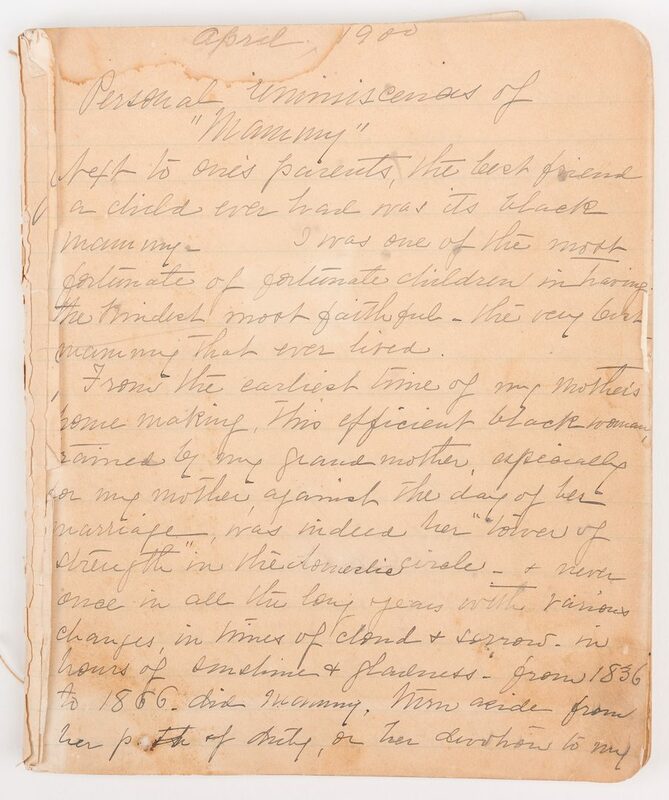 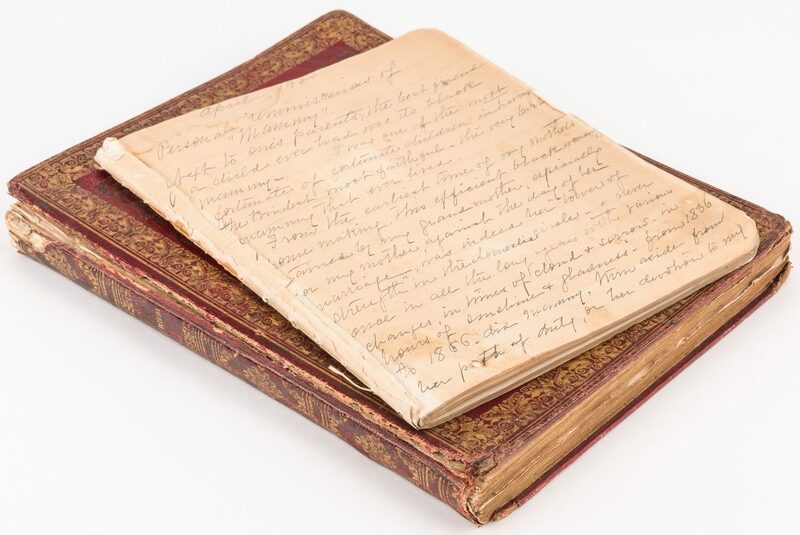 9 1/2" H x 7 1/2" W. 2nd item: Notebook, lacking cover, containing manuscript titled "Personal Reminiscences of Mammy" (dated April, 1900) and an essay on "Lee and Jackson." 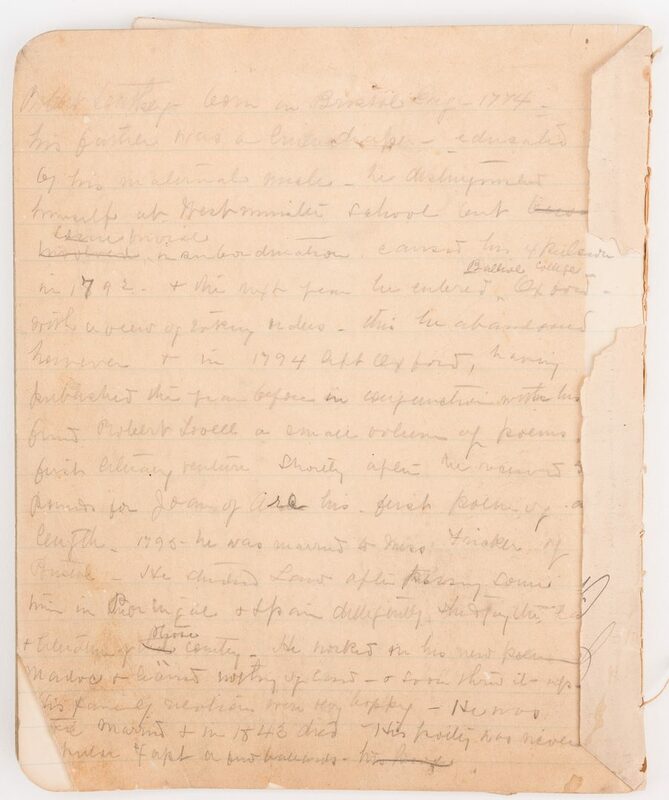 Several looseleaf papers included as well including an essay titled "Austrian Princesses and the parts they have played in the tragedies of France". 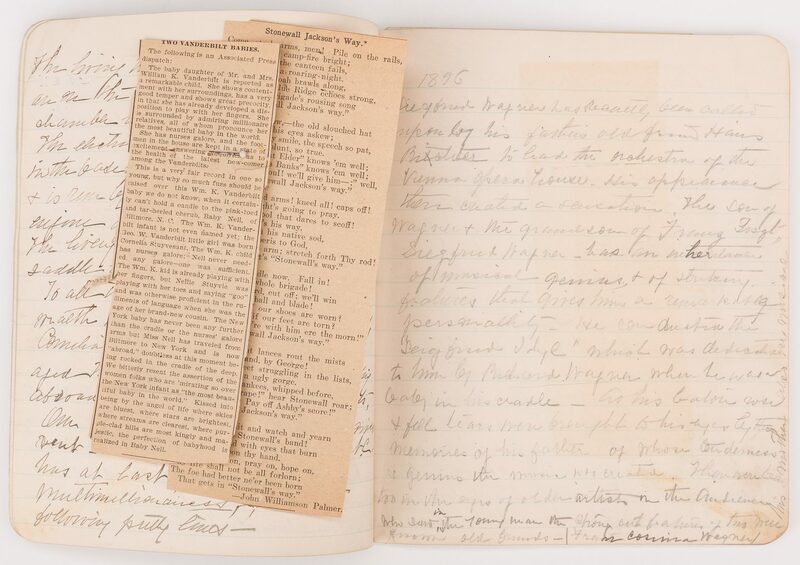 Newspaper clippings are pinned in on the birth of two Vanderbilt babies and a poem about Stonewall Jackson. 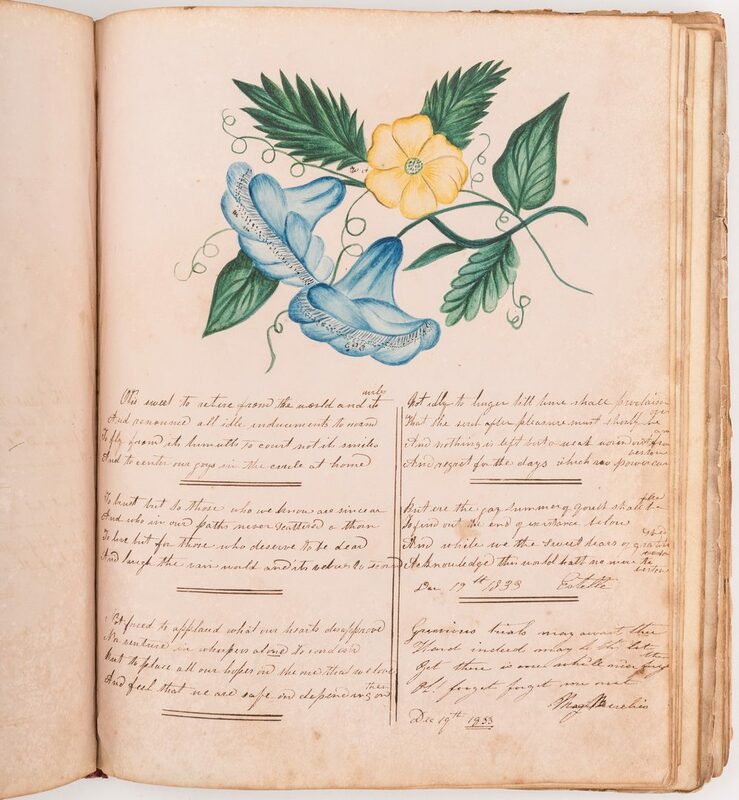 Notebook – 8" x 6 1/2". 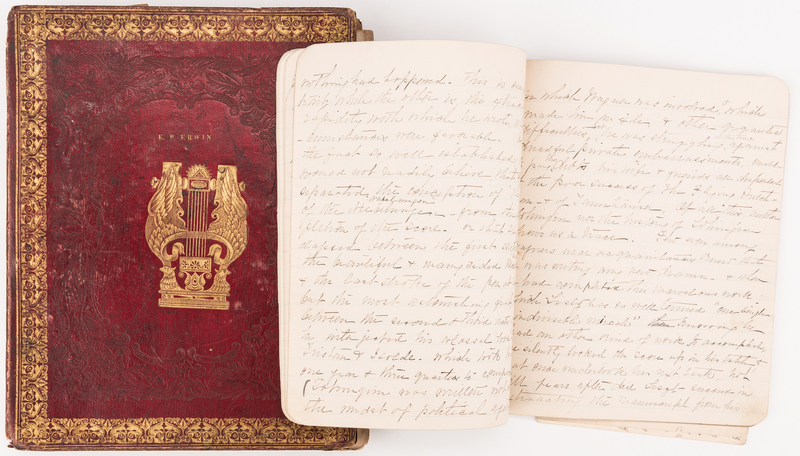 Provenance: Nashville TN estate. CONDITION: 1st item: Cover is detached, with spine and edge wear; pages toned and brittle, some pages detached and chipped. 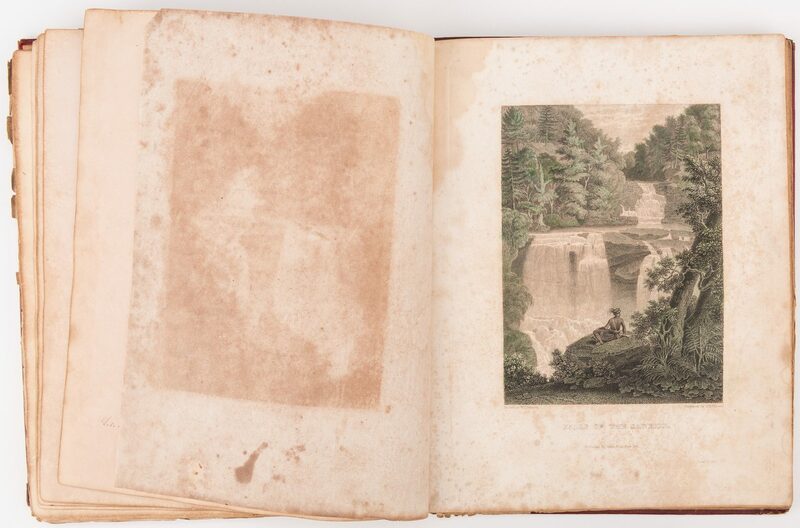 Printed illustrations show considerable foxing. 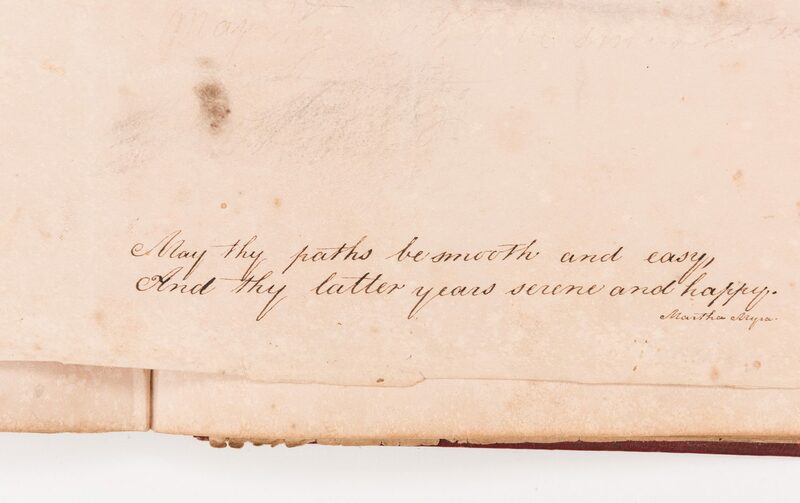 Some pencil inscriptions have faded. 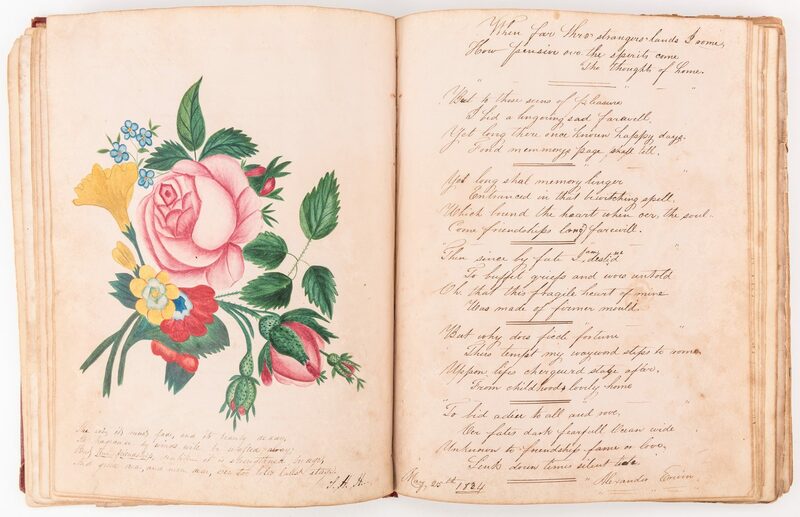 Watercolor illustrations bright and in good condition. 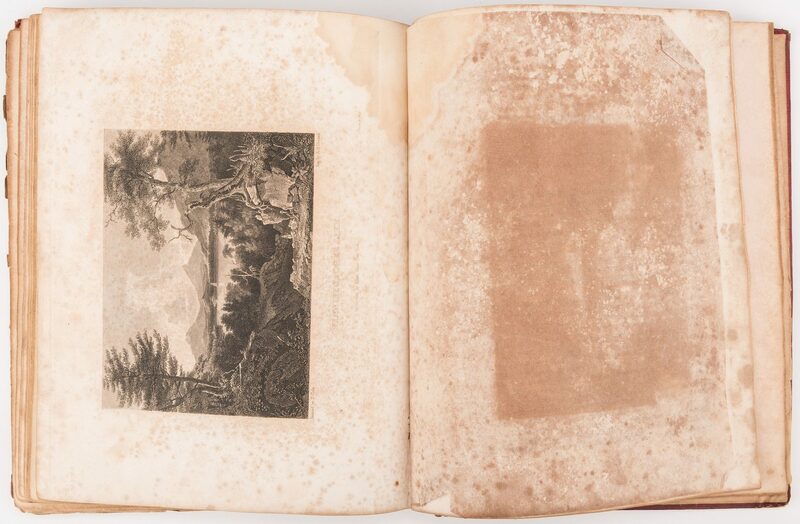 2nd item: Notebook lacks covers and first few pages, toned with some pale staining to top edge.